As a part of its Leadership and Governance Policies, the SCSD 1 Board of Trustees is committed to annually reporting to the community the status of education in the district. The reports provided below represent a wide variety of performance measures regarding the performance of students in SCSD 1, as well as our individual schools and the district as a whole. GOAL 1: GUARANTEE CHALLENGING, ENGAGING AND INTENTIONAL INSTRUCTION FOR ALL STUDENTS. Action Item: Through cognitive engagement, empower students to take ownership for their learning. Areas of Focus: Increasing the perceived relevance of schoolwork for students. Increase the autonomy of students and the use of personal academic goals. Improve students understanding of the value of learning and success in school. GOAL 2: CREATE HIGH PERFORMING SCHOOL CULTURES. Action Item: Improving employee engagement and professional practice through peers and innovation. Action Item: Cultivate authentic parent engagement to benefit the whole child. Ensuring that a growth mindset is emphasized at all points of contact for students. Engage parents in learning about the importance of early learning. 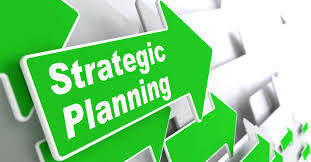 Click here to visit our strategic planning website.